Wedding Season is upon us... make sure you're organised with our Wedding Outfits For Girls list. It has the coolest Dresses, Jumpsuits and Accessories out there, plus all those great bargain buys too. When it comes to buying your Daughter an outfit for a Wedding, chances are Monsoon will be the first place that pops into your head. Their Formal Clothing* range for Children is second-to-none. If you're after Formal Wear on the High Street then Debenhams is a good shout. They have a vast range of Outfits including Bridesmaid and Flower Girl Dresses*. Every year next bring out a lovely range of Wedding Clothing for Girls. They have a section forYounger Girls* and one for Older Girls* too. River Island are great for the fashion-conscious child. Their Wedding Clothing* is on trend, and is reasonably priced. You can find just over 20 Girls Wedding Dresses* to choose from, at Marks and Spencer. Prices start from £22 and go up the £56 mark. What does a Girl wear to a Wedding? Traditionally a Dress or a Gown, but we are in 2018, and time's have moved on, so it's safe to say that's it's also fine to wear Playsuits, Jumpsuits, Skirt* and Top, or Trouser and Top combos. 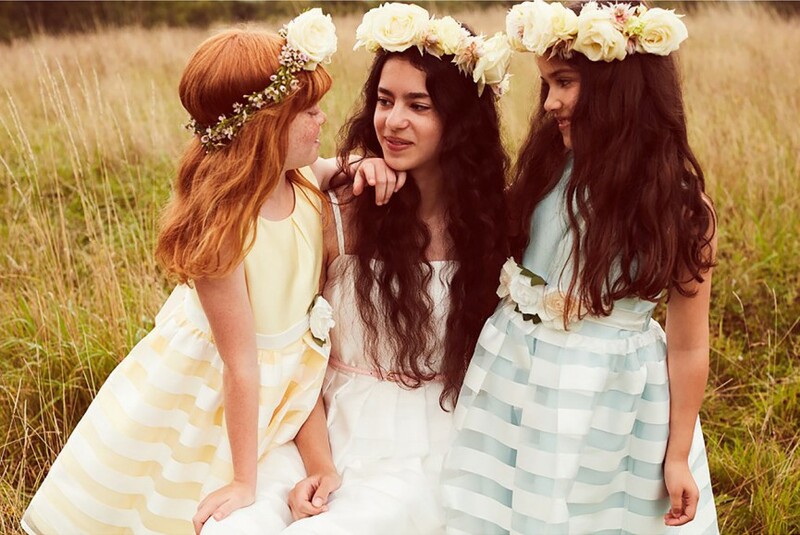 It's so easy finding Dresses and the likes for Older Girls, but what if you have a little bundle of joy to dress? Worry not here are some cracking Baby Girl Wedding Outfit* suggestions. 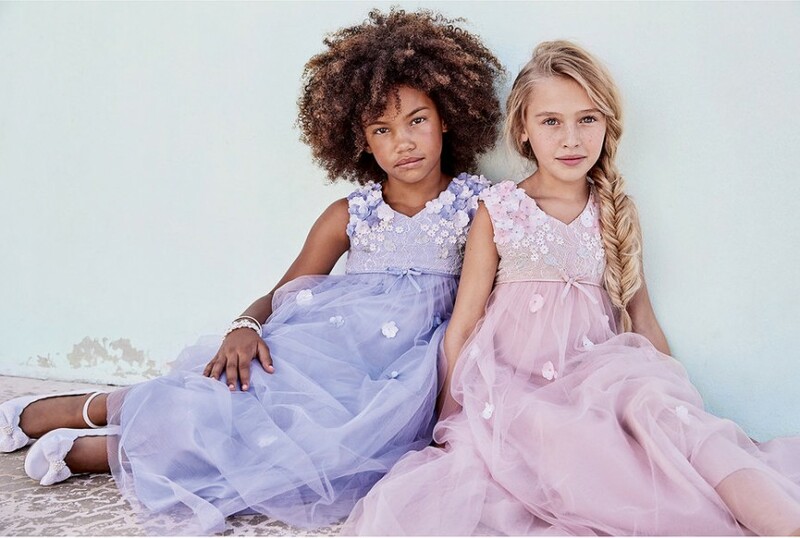 Not all little Girls want to wear Dresses, and you can now find beautiful Jumpsuits* and Playsuits in the shops. Once you have that all-important Outfit sorted, you don't want to forget about the Tights*, Bag* and Cover-up*. What about boys?!! I've got 3 that need dressing for a wedding!